Select which Fields Setup will be used to display the users' profiles. Set a number of columns and rows. This will affect the number of displayed members. You can add a Membership filter to only display the users with the selected membership. This is how the module will look like on the frontend with the current settings. This module will add a button on the frontend allowing users to login using their Facebook account. 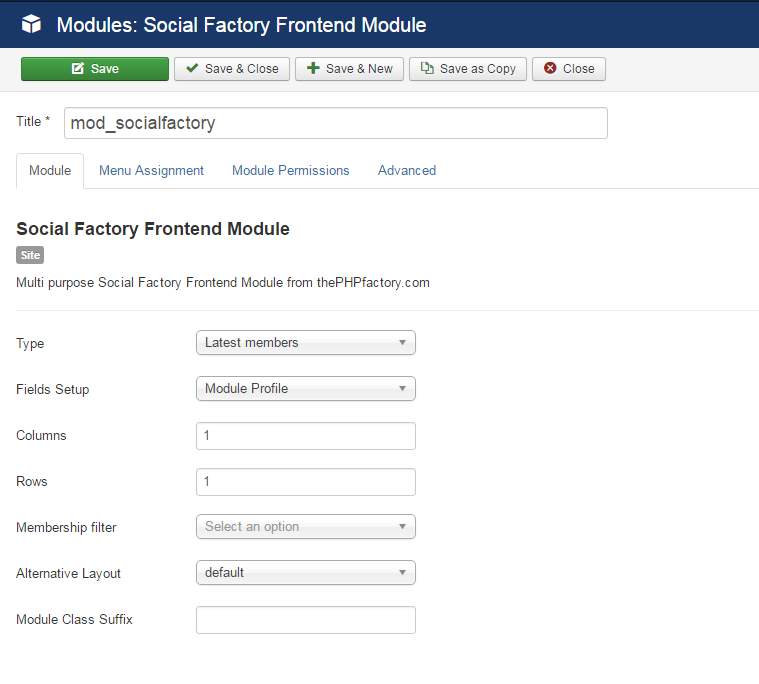 After you enable and set up the module, this is how it will be displayed on the frontend. 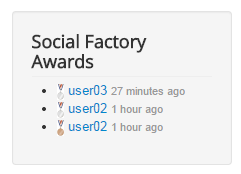 The Awards Module can display the latest awards or the latest awards received by the logged in user. 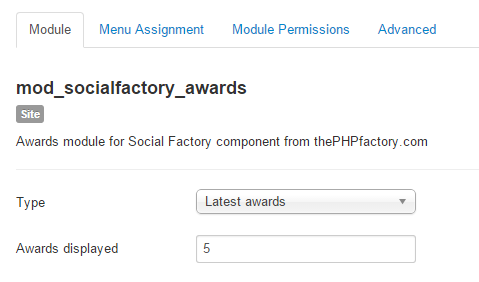 In case of the first option, you can view which user received an award and the period of time when it occured. Clicking on the username will redirect you to said user's profile page. The amount of displayable awards can be set from the Awards displayed option. In order to have the award system properly working on your website, you will first need to enable this option from the General Settings page. 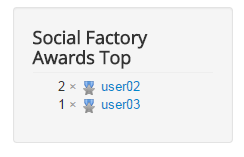 The Awards Top Module displays the users with the most awards from your website. Clicking on the username will redirect you to respective user's profile page. 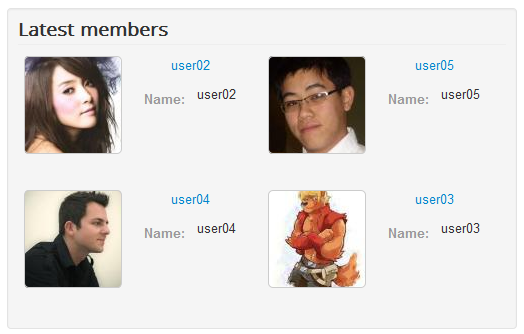 From the backend, you can choose how many users will be displayed on the module.